"Never judge a book by its cover" - I know: cliché, right? But sometimes, clichés are right. And this is one of those instances. People absolutely judge a book by its cover. You might not like the idea behind all of that, but I can assure you that's exactly what happens. Every. Single. Day. A great book cover can make the difference between dismal sales and a book that sails up the charts. This becomes even more important in the age of self-publishing, when the whole cover-design process is in our hands. Your book covers really have the ability to make or break your career. It's that important. Sadly, many authors overlook the importance of their book covers until it's too late. In the end, they hire the cheapest designer off Fiverr, upload the cover and call it a day. Not good. Is it possible to have a one in a million hit and succeed despite your cover? Yes. But is it likely? No. Anyways, why would you risk the success of your book on a shoddy cover when it's something that's entirely under your control? As an indie writer, the cover you choose will either make or break the success of your books. Even if you’re on a budget, the cover (+ good editing) isn’t something that you should skimp on. Ever. Whether you choose to go DIY or hire a professional, the end result should be an image that’s engineered to sell your books. One of the worst things you could do for your book is thinking of your book cover like a canvas, and try to make it incredibly creative. There is room for making your cover unique, but covers that don’t adhere to certain design principles will end up looking amateur and confusing. To compete your cover needs to adhere to reader expectations. You have a little wiggle room here, but stray too far and you’ll find your book buried in the deep pages of the Amazon bookstore. 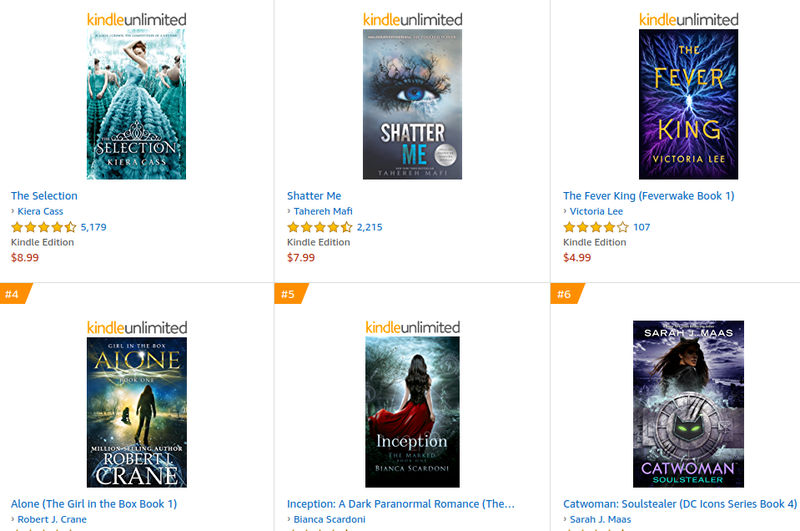 This doesn’t mean you want your cover to be exactly the same as what’s currently selling, but instead to be in the same family as other books in your genre, while still standing out. Book cover designs vary widely. Spend a little bit of time in your local bookstore and you’ll be hard-pressed to find two covers that look exactly alike. However, just because there are surface level differences, the most successful book covers all follow the same underlying principles. Big 5 publishers all use time tested design techniques and principles that are engineered to grab your attention and help sell books. To give your book every advantage you’d be smart to employ these same techniques yourself or hire someone who knows how. Since you’re competing against these giants you’ll need your book cover to at the very least, match the standard of these books. All of this is very important when you’re just starting out and building your audience. However, once you’re large and established you can afford to take more risks with your covers. At this point your audience will know and trust the quality of your work, so the cover isn’t as important. Just look at some of the covers put out by author’s Stephen King and Seth Godin. The cover design doesn’t need to adhere to marketplace preference as much, because they’re both already household names. Choosing Your Path: DIY or Professional Cover Designer? When the time comes to design your cover you’re going to have two different routes to take. The first involves designing your cover yourself, while with the second approach you’ll be bringing in a professional to design your cover for you. Overall, the approach you take will depend on your budget and existing design skills. If you have a near zero budget, then you can design your own book cover, and once it’s selling, then you can upgrade with a professional design. Those with a larger budget for their books might prefer to hire a professional book cover designer from the very beginning. Creating your own book cover can be a very fun experience, especially with the right tools. The first thing you’ll want to do is get inspired by existing designs out there on the market. This will help to solidify the end goal of your DIY cover. The best place to start is the Kindle store. Best-selling books usually have a lot going right in terms of their cover designs. Take a screenshot or copy-save the covers you like the most, or the ones that for some reason stood out immediately as you looked at them. When you're saving the images on your hard drive, make sure you write why you like that specific cover. I usually write something in the file name, so that I can remember further down the line: (e.g. "Great-Font.png"). You’ll also find that best-selling books in specific categories tend to look fairly similar as well. This should be the goal with your finalised design. You want your book cover to fit in naturally with the other books on the virtual shelf, while still being unique and intriguing enough to warrant a click. As you browse through different categories on Amazon, also keep your eye out for design elements that each of the covers share. For example, are there similar fonts, or colors that are used? Or, maybe the covers have a similar image that’s used? By taking stock of what each cover shares you’ll be able to understand what elements you’ll need on your cover, and what areas you’ll be able to make uniquely your own. If you want even more cover inspiration you can head over to Pinterest. You’ll find a wide variety of curated book cover boards that you can draw inspiration from as well. When you’re designing your own book cover the software you choose will either make the process incredibly simple, or you’ll pull your hair out in frustration. Overall, it depends upon your existing skill level and familiarity with any design tools. Canva is a very easy to use tool that allows you to create a variety of different designs for social media, your website and much, much more. Among the many ways in which it can come in handy, it can also be used to create pretty good-looking book covers. Let's see how it's done. Once you fire up Canva, just select the ‘Book Cover’ option and you’ll be able to select a book cover template and edit it to your liking. PRO: Extremely easy to use and very beginner-friendly. Beautiful ready-made designs to choose from. CON: "Templates" are the same for everyone, so you might end up having the exact same cover as someone else who's using the tool. DIY Book Covers was created by author and book-marketer Derek Murphy of CreativIndie. With this tool, you’ll get a collection of book design templates you can customise to create your very own cover. Exactly the same as Canva? Kind of, but every single one of these templates was created with best-selling book cover principles in mind. As an added bonus, the site also features a "3d Mockup" creation tool, which is extremely handy when creating graphics like BookBub Ads and general 'swag' material. If you know your way around InDesign or Photoshop, then this might be your tool of choice. Creating a book cover using these apps might be a different process than you’re used to, but it’s a skill that’ll serve you well in your career as an author. Keep in mind that both of these tools are built for design professionals, so even though they have the capacity to create professional-level covers, it will take some serious skill development in order to get there. Spend some time experimenting with the tools above, until you find one that you’re confident using. If you decided to go the Adobe software route, keep in mind that your learning curve is going to be much steeper. PRO: Endless creative possibilities. These softwares are the best in the game. CON: The suite of softwares can get expensive over time. Very steep learning curve. Let me be absolutely clear here: DO NOT USE RANDOM IMAGES FROM GOOGLE as part of your book cover. Too many authors try to use pictures they find with a simple Google image search, unaware that they’re infringing image copyrights. Apart from being illegal, this is actually not very smart. So, like with many other things online, paying a little for something a bit more 'premium' will be a smart move (although you might find the perfect picture on a free stock photo site, chances are that pic is being used elsewhere online, maybe even on another book cover). Hence, the best course of action is to use a paid stock photo site. Usually, these images will only cost you a couple of bucks. It's not much, and it’ll greatly decrease the chances of that image being used anywhere else online. Plus, you'll own the rights to that image, which will allow you to use it anywhere you want. Size matters. Ok, another cliché, but create a cover that has the wrong dimensions and it’ll end up looked warped or stretched out, and will probably discourage readers from picking up your book. Amazon recommends that your cover be 2,560 x 1,600 pixels. There are different aspect ratios for you to choose from, but Amazon suggests a ratio of 1.6:1. Getting the dimensions and ratio right is more important than you might think. 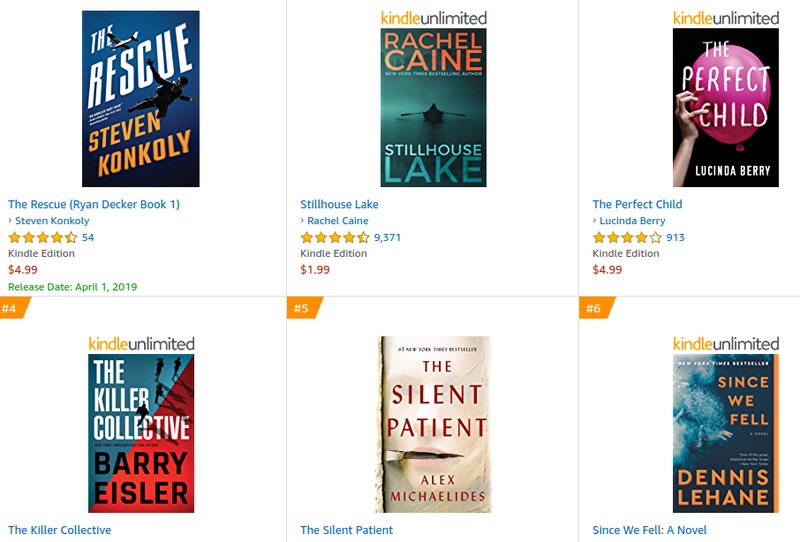 Head back over to your Amazon best-sellers category of choice and notice how almost all (if not all) of the books are the same size. This is because they’re hitting the preferred aspect ratio. Get this wrong and your book will stand out, but not in a good way. Another very common amateur mistake is choosing the wrong font for your book cover. A lot of people will spend weeks finding the perfect image, but then pick a seemingly random font from the list. Your font and cover image will work together to help brand your book and give off a certain feeling. When choosing a font you’ll want it to be in alignment with your genre, while still speaking to the tone of your book. Here’s a comprehensive list of fonts you should use for each genre. If you want to explore book cover fonts even further, then check out this great resource from Kindlepreneur. By now you’ve found some killer book covers to model yours off of, chosen the book cover software you’re going to use, found the perfect stock photos and fonts, and know what dimensions to make your cover. Will all that knowledge you’re perfectly equipped to create your very own book cover. However, there’s one final, incredibly important step, exporting your cover in the right format. No matter how great your cover is, it won’t matter if it’s in the wrong format. When creating an eBook cover, then JPEG is all you need. But, if you’re exporting your cover for a physical print-on-demand book as well, then you’ll need to follow the guidelines created by the publisher. Usually, you’ll just need to submit a PDF of your cover, however, you’ll need to get the dimensions of your print cover exactly right before you submit your cover for review. The other option you’ll have at your disposal is hiring a professional cover designer to create your cover for you. It’s important that you avoid hiring a general designer and instead opt for someone whose sole focus is book covers. Designing a great book cover requires not only outstanding design skills but an in-depth knowledge of the market and cover design best practices. They need to be able to bring everything together to create a cover that will help your book sell. 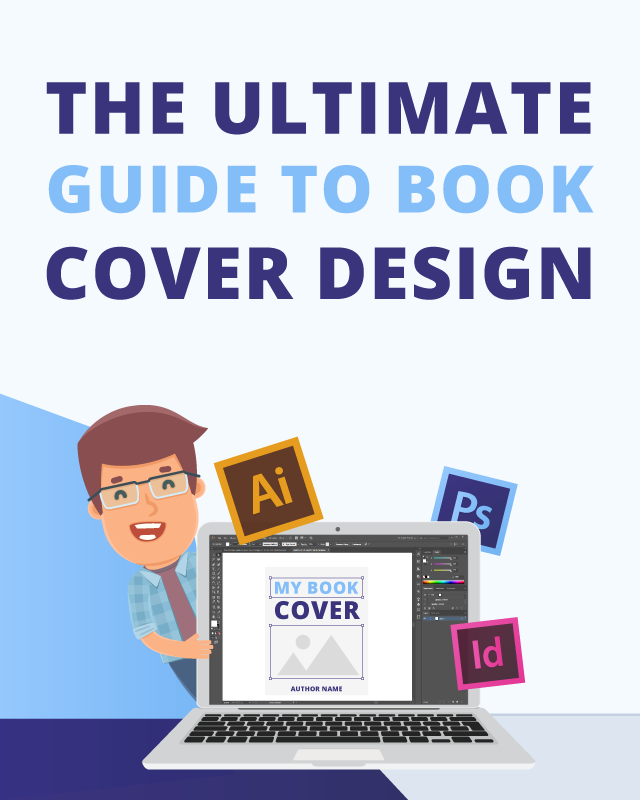 There are tons of different places online where you can find cover designers. However, you’ll want to make sure you’re looking in the right places. Just because someone calls themselves a cover designer doesn’t mean their work is worth your time. Since you’re going to be spending money on a cover, you’ll want to make sure the person you work with has a solid understanding of your genre, as well as the design skills and portfolio to back it up. Even if someone is a great cover designer that doesn’t mean they’ll be familiar with the common cover tropes in your genre. Reedsy. At Reedsy, you’ll find an entire marketplace of vetted professional book cover designers. The marketplace is quite large and you’re guaranteed to find a high-quality cover designer who has experience in your genre. Damonza. A great company that's been around since the very beginning of self-publishing. A little on the pricier side, but their work is fab. Check out their packages for print+ebook deals. In theory, you can. But think about it: marketplaces like 99Designs are meant to serve everyone who is looking for graphic design work. The freelancers you'll find there, though sometimes excellent professionals, might not have the experience in designing book-covers. Best to go with someone who does it for a living! Your brief will help to ensure you’re getting the exact kind of cover you’re looking for. Your brief will be equal parts pitch for securing a high-quality designer and will lay the foundation for a smooth relationship. The information that you give during your brief will differ depending on the service you’re using. For example, if you decide to go with Reedsy, then your brief will more or less act as a pitch. Cover designers using this platform are typically incredibly busy, so your brief will help to convince them that you’re the best author to work with. With other platforms highlighted above, you’ll just be answering a set of questions, and maybe submit a few ideas, which they’ll use to create your cover. It’s important to keep in mind that when you’re working with a cover designer, you should trust the direction they’re taking with the design. As an author, you’re often too close to your book to create a cover that’ll sell. Usually, your designer will create a series of mockups, and you’ll choose the direction you’d like to take. However, the process differs depending on the platform, or designer you end up using. If there are multiple rounds of feedback that you’ll provide throughout the design process you’ll want to ensure that you’re giving detailed and useful feedback. Simply saying, “I don’t really like this” won’t be very helpful to your designer. By giving detailed and useful feedback, you’ll end up with a cover you truly enjoy, while making your designer’s job much easier. Depending on the designer you’re using you might get two to three rounds of feedback. You’ll want to make the most of these rounds of feedback, so you don’t end up paying for additional rounds of design work. Finally, keep in mind that the goal of the cover is to sell books. It’s not for you, it’s for your readers. Keep this in mind throughout the cover design process. This will help you take emotion out of the equation and choose the book cover that resonates the most with your audience (and will sell the best). However, if you’re stuck between a few different covers for your new book, then you can split test them to see which performs best. There are a myriad of ways to do this, but the best option is using a tool called PickFu. This app will help you get completely anonymous feedback about which cover is best. The fact the response will be anonymous is actually helpful, because the feedback won’t be from people you know, and thus won’t be biased. Tim Ferriss ended up testing not only his book covers but his book title as well until he landed on the mega-bestseller The Four-Hour Workweek. Tim ended up using Google AdWords to bid for keywords related to the topics his books covered, then he went with the title that got the most clicks. This is a surefire way to ensure that both your title and book cover speak to your target market and are primed to help you move as many books as possible. By now you’re well equipped to create a best-selling book cover, whether you decide to do it yourself or hire a professional. Still, your mind is probably bursting with questions. How much does it cost to design a book cover if I use a pro? The costs for a professional book cover can vary widely. Overall, it depends on the experience of the designer and how busy they are with existing work. As we have seen above, cover design is something you should never save money on. But that doesn't mean you'll need to take a loan in order to get a pro-looking design. Take a look at 100Covers, the service we recommend above all others: you definitely won't be disappointed (and your wallet will thank you for your choice). How can I make a book cover for free? The best way to make a book cover for free is using a service like Canva (see above). With each of these tools, you can use the included templates to create a stunning book cover. Unless, of course, you already have some solid design chops and access to Adobe tools like Photoshop or InDesign. In that case, you can spend time watching free tutorials and create your own cover from scratch. How long does it take to design a book cover if I go DIY? The time it’ll take you to design your own cover depends upon the tools you’re using and your overall technical proficiency. If you’re using a tool like Canva, you can probably create your own cover in a single afternoon. Expect to set aside a few hours for inspiration/research and a few hours for cover creation. If you’re comfortable with the design tools you’re using, then it’ll be much faster to create your own cover. This is especially true if you’ve done your research and know exactly the type of cover you want to create. What is the best book cover design software? There is no "best" book cover design software. What you should look for is something that fits your needs. Some authors might prefer to set aside the time to master a tool like InDesign, so they master cover creation for the rest of their careers. Others might prefer the speed and efficiency of using a tool like Canva. The best approach is to test out a few different tools to see what suits your needs the best. Can I download pre-made templates anywhere? Technically, yes. But, there are some considerations you’ll want to take into account first. Pre-made templates can help to speed up the design process and give you a solid foundation to work from. But you’ll want to ensure that you can actually modify the templates you’re using with the proper software, and you’ll want to ensure the templates are high-quality. With some templates, you’ll have a difficult time making even simple customizations, while others will require Photoshop and will be so advanced that you’ll have to spend weeks learning the ins and outs of the software first. One great option, if you want to go the book cover template route is to use the DIY Book Covers templates. Here you’ll get access to 150 professionally made book cover templates that you can edit using Microsoft Word. As an author, you’re probably already familiar with this program. Awesome Article Brian – you earned yourself a 5 star review! Thanks Ariadne! Makes my day!